UPDATED – SAO PAULO (CNS) — A gunman opened fire inside a Brazilian church, killing four people and injuring four others before turning the gun on himself, police said. 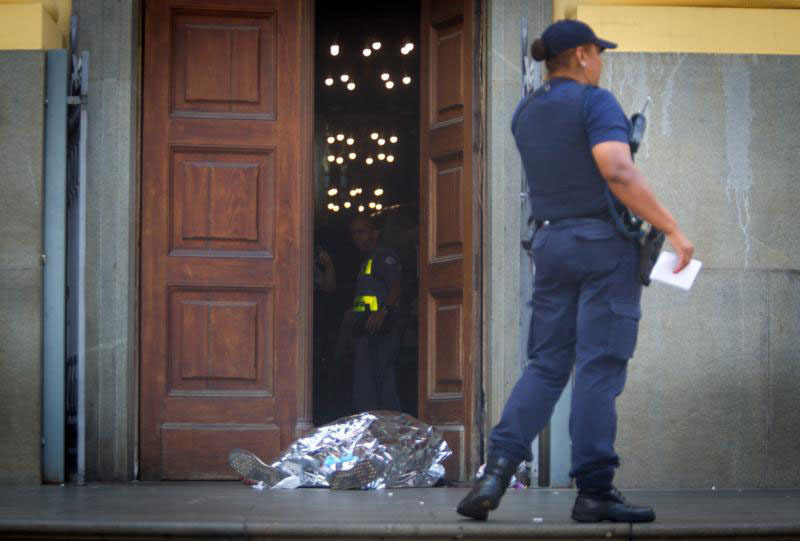 The shooting occurred Dec. 11 just as parishioners from Our Lady of the Conception Cathedral in Campinas, near Sao Paulo, were leaving a midday Mass. “The Holy Father invites everyone, in front of this moment of sorrow, to find comfort and strength in the risen Jesus, asking God that hope may not be lost in this hour of trial and that forgiveness and love may prevail over hatred and vengeance,” Cardinal Parolin said. The cathedral was to reopen at noon Dec. 12 for a special Mass for those who died. The four bodies are scheduled to be brought to the cathedral for viewing during the day before burial. Of the four injured in the shooting, an 84-year-old man remains hospitalized in critical condition after being shot twice in the chest and abdomen. Another victim remains in observation after undergoing surgery to remove bullets from her torso and two other victims were treated at a nearby hospital and released.